New Moon . . HD Wallpaper and background images in the Alice Cullen club tagged: alice cullen alice twilight cullen ashley ashley greene greene. 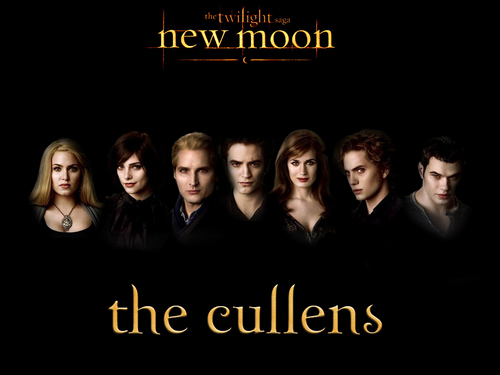 This Alice Cullen wallpaper might contain portrait, headshot, and closeup. Cool!!! did Edward get uglier!!! I'm team Jacob now!!! well... not for Bella but for Nessie.... I'm too advance.... GO Alice!!!! Ashley looks at the photo the best. Go Ashley ...!